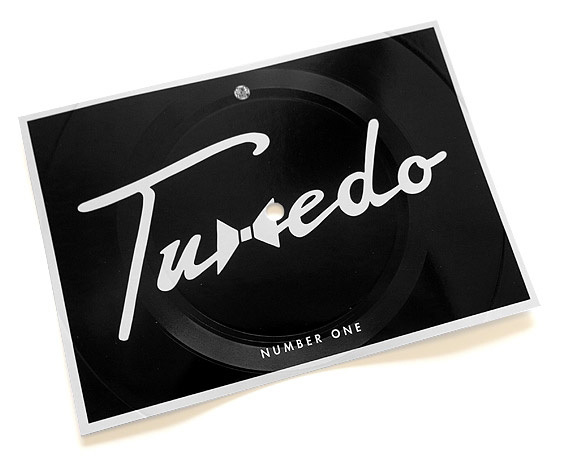 Mayer Hawthorne and Jake One have joined forces to create a duo so swank they can only be referred to as Tuxedo. The two Stones Throw artists will be be releasing their collaborative efforts, entitled Number One, on a double gatefold vinyl LP March 3. In advance of the album, they want to send you some good old fashioned snail mail in the way of a (very) limited edition post card. The post card is actually a playable single for the album’s title-track, which Stones Throw will be sending to 20 lucky subscribers of their newsletter (which you can sign up at the bottom of their website). Along with the promo post card, Tuxedo, who are currently on a DJ Tour in Europe, have announced a release party/live performance in LA on March 4. Stream “Number One” below, and read on for upcoming tour dates.